Born in the South of England. She decided to leave her white stilettos on the sunny shores of the Thames Estuary in search of streams a little bluer. She stumbled across Wanaka and it did not disappoint. Charlie is a self proclaimed ‘Jack of all trades, Master of none’. Her passions include the water, mountains, kayaks, bikes, skis, ropes and she loves life. As a result, her enthusiasm goes a long way. 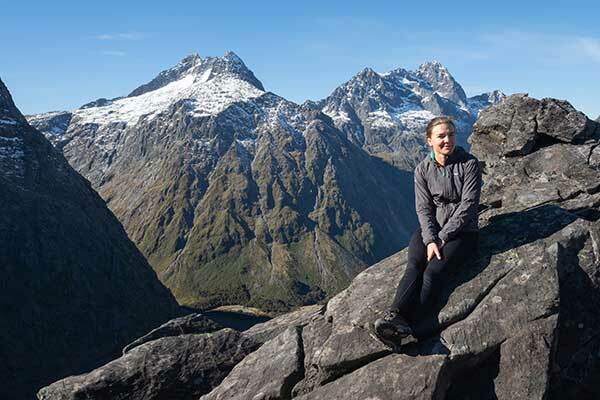 With a keen interest in New Zealand nature she’ll deliver awesome knowledge of the local area. She’s equipped with the ‘gift of that gab’ that Essex folk are famous for. You’ll find her down at the lake, probably Beacon Point, eating a cheese and cucumber sandwich.